Château d’Oex had a community of Anglicans as early as 1866 when it was placed on the chaplaincy list of the then Colonial and Continental Church Society (CCCS). Land was given to the Anglican community in 1888 by the Hotel Berthod and the foundation stone of the church was laid on June 28, 1899, by Bishop Wilkinson. 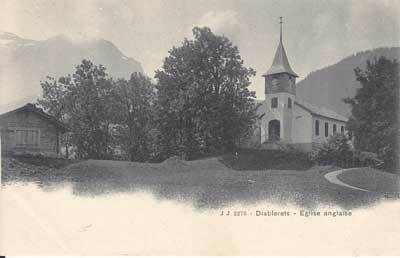 The church was opened on 30 September of the same year. In 1905 the building was extended with the addition of a north aisle as it was too small for the number of congregants. Extensive restoration has taken place in 2017 and continues in 2018. St Peter’s holds regular services each Sunday at 17h30. Current Status: Used all year round. 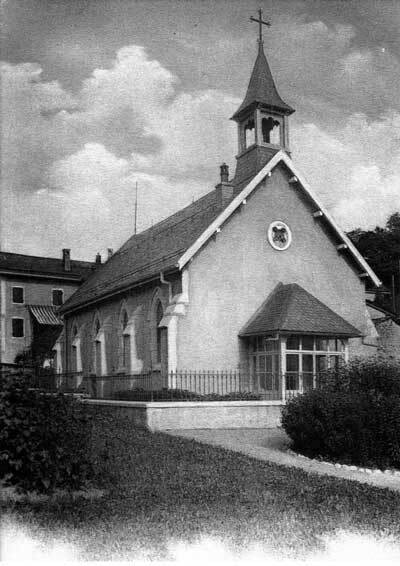 The church was built in 1905. It was dedicated on 1 February 1906 to St Michael and All Angels. The Church has beautiful stained glass windows which form a series illustrative of the ministry of angels. They were, except one, a gift from Mr Herbert Edgar Reid. The windows were made in 1906 by Messrs AL Moore and Sons, one of the best-known artisans of that time. The large oak altar in neogothic style, with its four angels holding up the Altar table probably made by a Belgian artist, is another valuable piece of the church. St Michael and All Angels remained closed during World War I. Large scale. repair work had to be done. 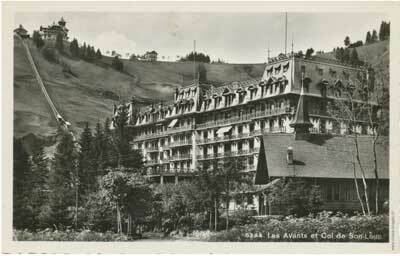 After the war, Caux was no longer a place of attraction for Anglo-Saxon tourists. The congregation gradually vanished and the church remained closed. 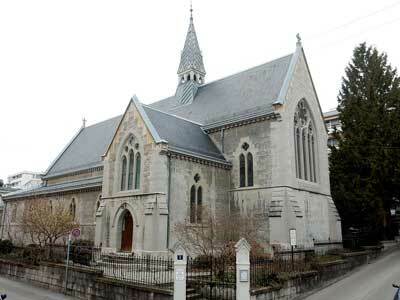 In 1944 the building and property were handed over to the Swiss Protestant congregation in Montreux with the right of use for Anglicans. 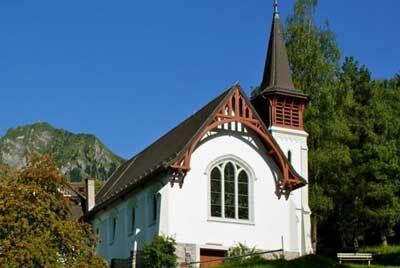 Source Anglicans in Switzerland, Past and Present. Paul Schniewind. The first constitution of the English Church was drawn up in July 1818. 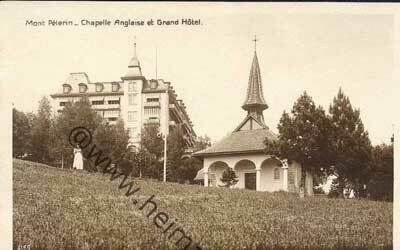 Original services were held at the Chapelle de la Mercerie and then in the newly constructed church at Croix d'Ouchy. The first stone of Christ Church was laid on 19th June 1877. 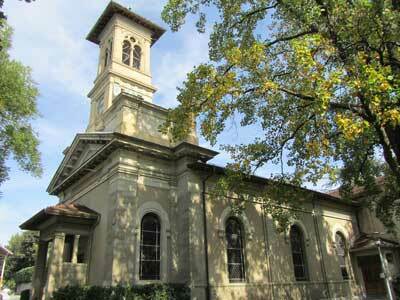 The building work was rapidly completed and the first service was held on 4th July 1878. The church was consecrated nine years later on 6th June 1887. 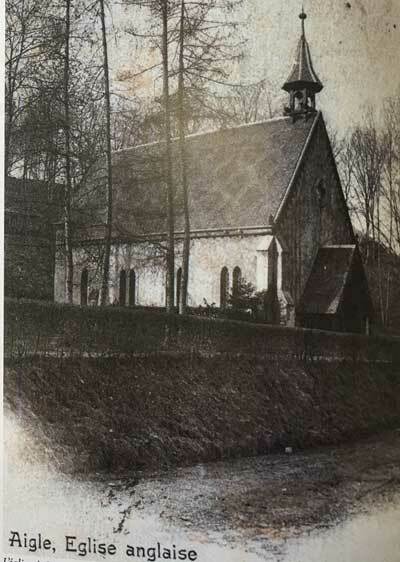 In 1898 the church was enlarged with the addition of the south aisle. Heating was installed at the same time. A magnificent collection of stained glass windows designed and built in London by the firm Clayton and Bell were brought to Lausanne and installed by the local Swiss Architect. The windows are a perfect example of the « gothic revival » movement.